This comedy costume includes jumpsuit and goggles. The jumpsuit is made from foam for a really deluxe look. The jumpsuit has an all-in-one design with a padded muscle body which has a wound on the arm, as pictured. 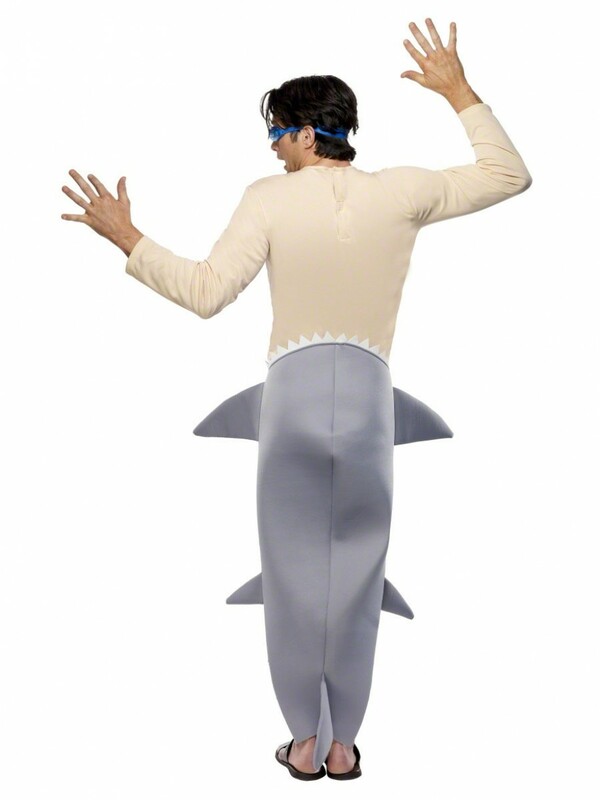 The rest of the foam suit has a detailed shark design with fins, teeth and red eyes. To complete the look blue goggles are also included with adjustable strap fastening. 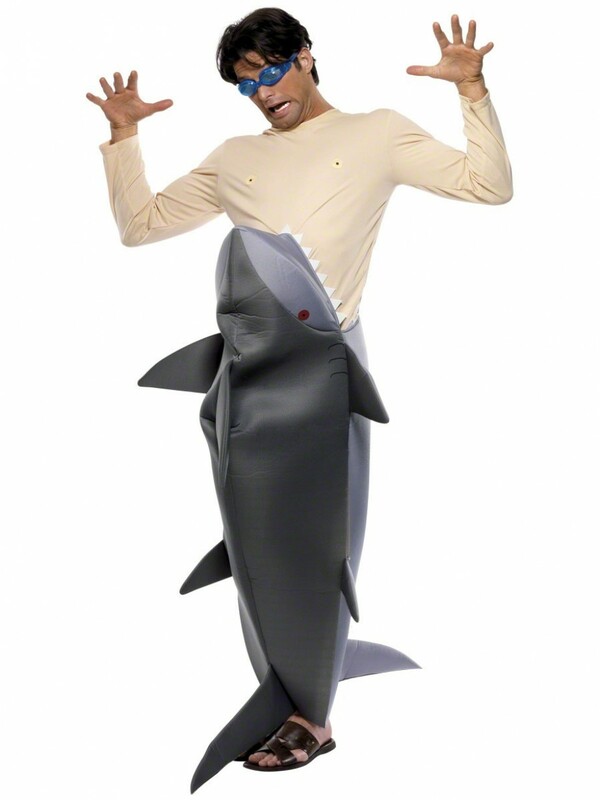 This costume is available in one size, to fit most. This comedy costume includes jumpsuit and goggles. 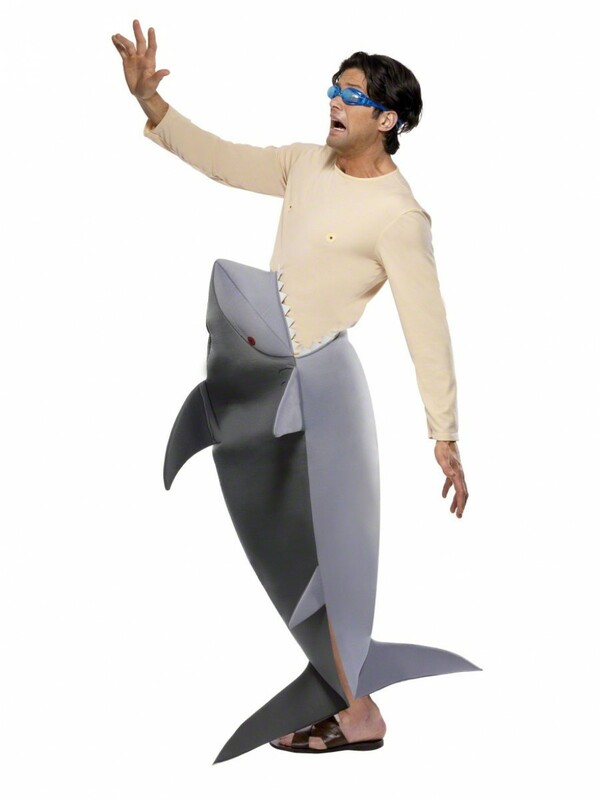 Please note that this deluxe costume is made from foam. To achieve the pictured look steaming and shaping may be required – manufacturing instructions are included.